Sunday morning and the rain is gently and insistently falling this morning, Norman is snuggled in and wrapping up his evening snooze, and I am thankful I have no plans to have to do anything as my French Cafe Jazz playlist bounces about the room and my curiosity guides my agenda. 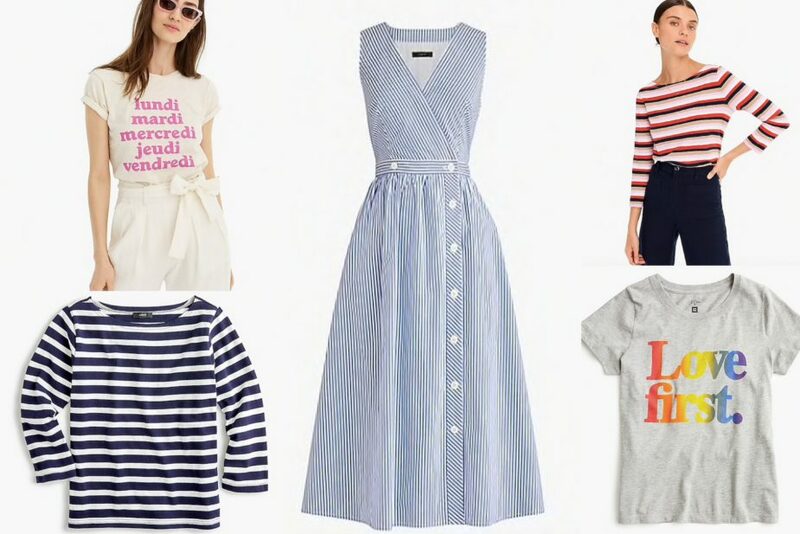 Which makes it a perfect time to share a lovely weekend sale you might want to shop as many lovely, French-inspired styles (stripes and French language graphic tees!) are available at fantastically low prices for your summer and spring wardrobe. In fact, this dress (see above) is quite similar to a dress I found in Paris last summer and wore endlessly during the warm months in Provence (view the color and print here). 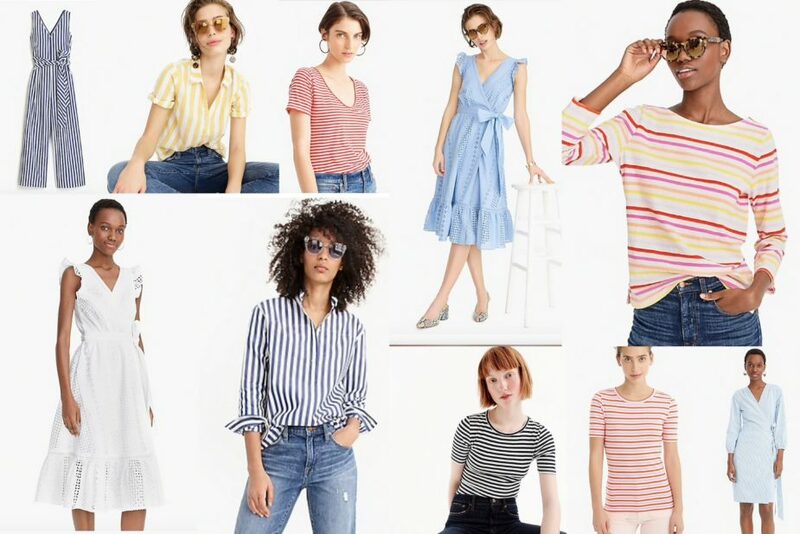 So with the spring rain falling and the time leisurely being savored to relax, be sure to check out J.Crew as they too are celebrating the rainy weather that is promising a beautiful and colorful May with a weekend sale site-wide. Use promo code REFRESH and save 40% off full price items. ~“Les jours de la semaine” T-Shirt (for Italian aficionados, especially those who love gelato – there is this fun tee. Or if you just want to fondly remember Under the Tuscan Sun and see the word Limoncello (remember when Diane Lane’s character and her lover are on the beach and he’s trying to teach her about the lovely drink that is limoncello? ), check out this tee. ~Striped Blush hue boatneck t-shirt – blending the trend of the season and a classic style – loving this chic top tremendously. ~With each “Love First” tee purchase, J.Crew will be donating 50% of the purchase price of for every shirt sold to the Human Rights Campaign, which fights discrimination against LGBTQ people. ~don’t forget to use the code REFRESH! 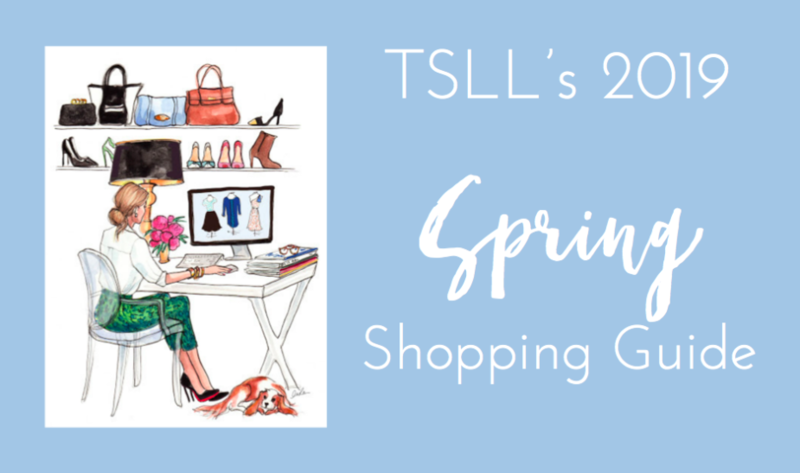 ~Shop TSLL’s 2019 Spring Shopping Guide. I tell myself no more t-shirts, but…stripes!